Jason Woodall is an associate in the firm and a member of the business law practice group. He focuses on the areas of corporate law, negotiation and contract drafting, mergers and acquisitions, real estate law, commercial lending and financing, and general business law matters. Mr. Woodall brings a high level of personal attention and economic value to his clients. Prior to joining the firm, he worked as a litigator in Lexington. 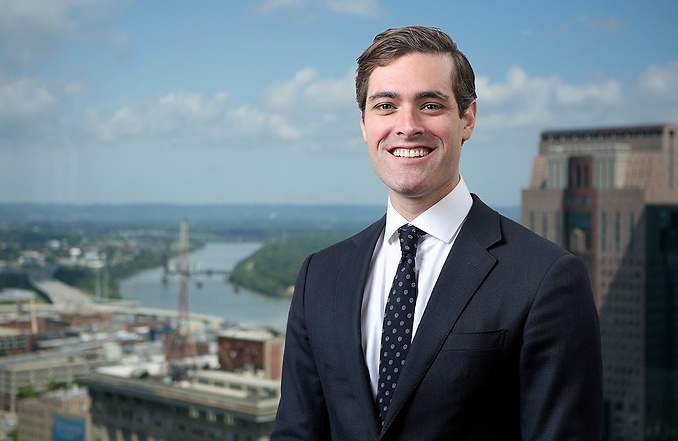 He then returned to Louisville, his hometown, where he worked as in-house counsel for a healthcare company and later as a real estate advisor for an affiliate of an international real estate firm.